Sir Elton Hercules John CBE is an English singer, songwriter, composer, pianist, record producer, and occasional actor. He has worked with lyricist Bernie Taupin as his songwriter partner since 1967; they have collaborated on more than 30 albums to date. In his five-decade career Elton John has sold more than 300 million records, making him one of the best-selling music artists in the world. He has more than fifty Top 40 hits, including seven consecutive No. 1 US albums, 58 Billboard Top 40 singles, 27 Top 10, four No. 2 and nine No. 1. For 31 consecutive years he had at least one song in the Billboard Hot 100. His single "Something About the Way You Look Tonight"/"Candle in the Wind 1997" sold over 33 million copies worldwide and is "the best-selling single of all time"
Main Image: Elton John. Image via The Movie Database. Born 1947-03-25 (72 years ago) in Pinner. Your opinion about Elton John? 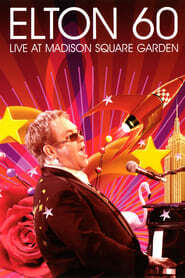 Start a discussion about Elton John with your friends on Facebook or Twitter!